You are not alone! Time and time again we hear these issues from Multi-Unit Franchisees, their Managers and senior staff. To help you get labor cost insights at your fingertips that are both timely and actionable, we have created the Multi-Unit KPI Spreadsheet. Our quick and easy to use spreadsheet is free for you to download. The information it collates will help you ensure optimum customer service levels and minimize wage wastage. These results will support improved store performance and business growth. 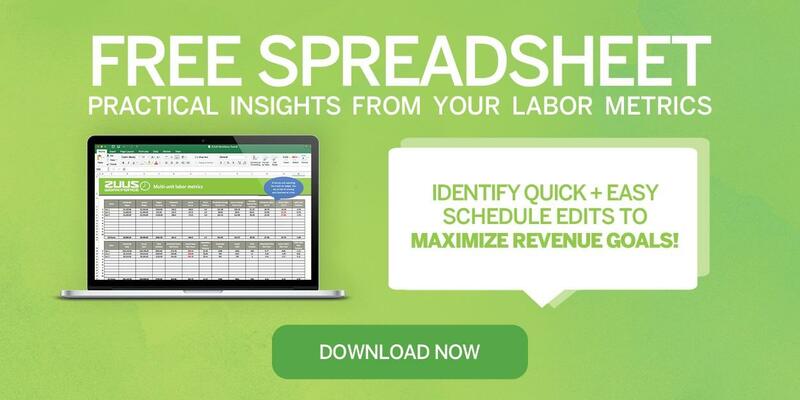 Download your spreadsheet today and begin your journey into greater labor cost insights to boost your business’ sustainability and growth. Effective workforce scheduling provides benefits for both your staff and your business. Good scheduling is demonstrated to increase staff productivity and work happiness. Having the correct levels of staff scheduled at any one time increases customer satisfaction and ultimately, improves your profitability. We look forward to helping you improve the performance of your business!